Japan Aerospace Exploration Agency reported that operation of the infrared astronomical satellite AKARI (ASTRO-F) was completed. 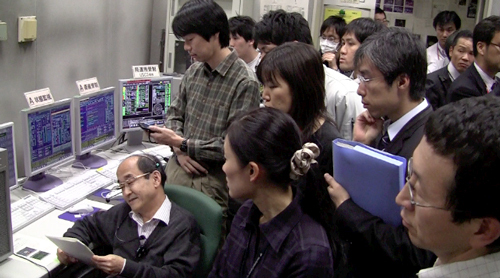 The onboard transmitters were turned off at 17:23 (JST) on the November 24, 2011. AKARI was launched on February 22 (JST), 2006 from the Uchinoura Space Center by the M-V Launch Vehicle No. 8. It is the first Japanese infrared astronomical satellite, and has been operated beyond its expected lifetime(*). AKARI provided infrared source catalogues containing 1.3 million objects as well as many essential outcomes in the infrared astronomy. AKARI's science operation was completed in June 2011 following a trouble in its power-supply system happened on the May 24, 2011. After then efforts for safe termination have been continued. Major results provided by AKARI are reported in the following pages as well as the project's science result page. (*) The required lifetime is one year and target lifetime is three years.